Winning Moves | Customised Games > News > Winning Moves News > Doctor Who Games Day! Whovians enjoying playing their themed Doctor Who games at the Doctor Who games day. 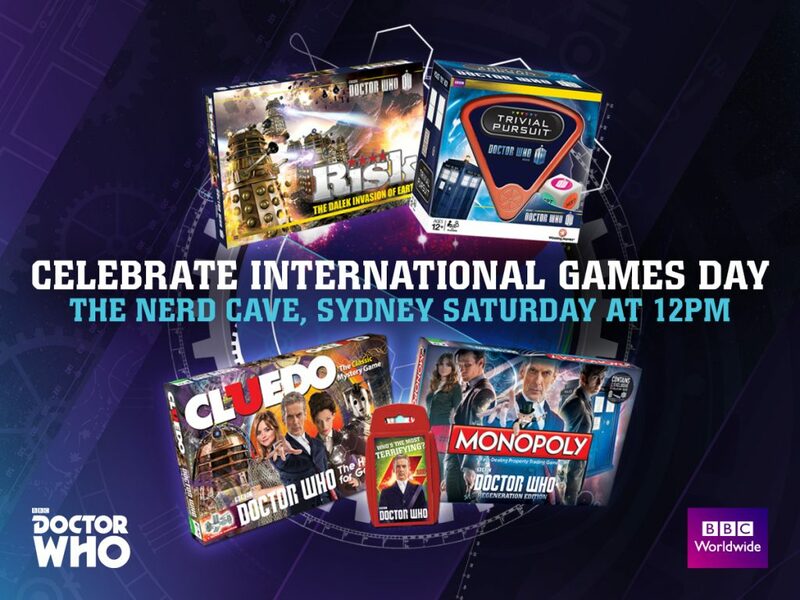 Winning Moves and the Doctor Who Club of Australia came together on the 19th of November to celebrate International Games day and Doctor Who’s 53rd anniversary! Lots of prizes were won and Doctor Who themed board games played! We had a few versions of Doctor Who Top Trumps, Monopoly, Risk, Yahtzee and Cluedo to play. BBC were kind enough to provide us with amazing Doctor Who merchandise as prizes! A big thank you to DWCA, The Nerd Cave and BBC for helping us put on a great event. If you’re a Doctor Who fan, be sure to grab your board games quickly as these will be discontinued in 2017!